Land Rover Range Rover Sport 5.0 V8 S/C Autobiography Dynamic 5dr Auto 2019 Review | What Car? What Car? will save you at least £2,241, but our approved dealers could save you even more. This high-end trim is the only one offered with the SDV8 and V8 petrol engines. It comes with a panoramic glass roof, three-zone climate control, cooled front seats, a heated steering wheel and adaptive cruise control. It also gets an upgraded sound system. 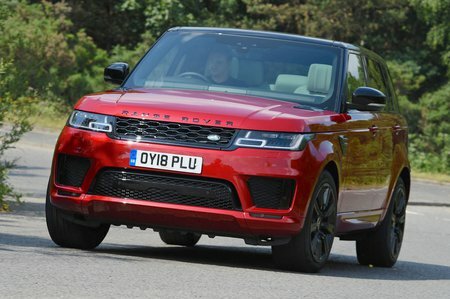 Land Rover’s supercharged V8 engine doesn’t do demure; instead, it delivers plenty of performance and noise, making the Range Rover Sport something of a super-luxury SUV dragster. Fuel bills are, as you’d expect, scary.